The Christman Plastic Surgery Center excels in Facial Cosmetic Surgery – offering affordable and professional services for those looking to benefit from facelifts, neck lifts, nose jobs and more. Dr. Christman has over 30 years of experience performing facial procedures and is certified by the American Board of Plastic Surgery. 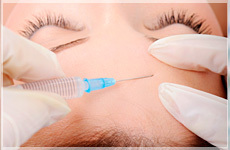 A Brow Lift procedure tightens the skin around the forehead, elevating eyebrows and removing unwanted wrinkles, resulting in a more youthful appearance. 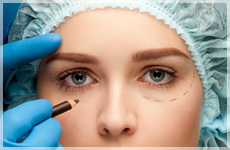 Brow Lifts can be performed under general anesthesia or under local anesthesia at the Christman Plastic Surgery Center. Are you seeking to redefine your appearance? Facial implants can be placed in the cheek or jaw. Or, your own bone can be used to refine your profile. If you seek enhancement of your facial features, contact the Christman Plastic Surgery Center located in Dayton, Ohio. 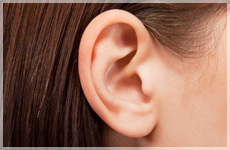 Otoplasty can correct a structural ear defect present at birth, or can correct misshapen ears caused by an injury. Ear Pinning is a common procedure provided by the Dayton Plastic Surgery Center. It allows both children and adults to feel better about their appearance.